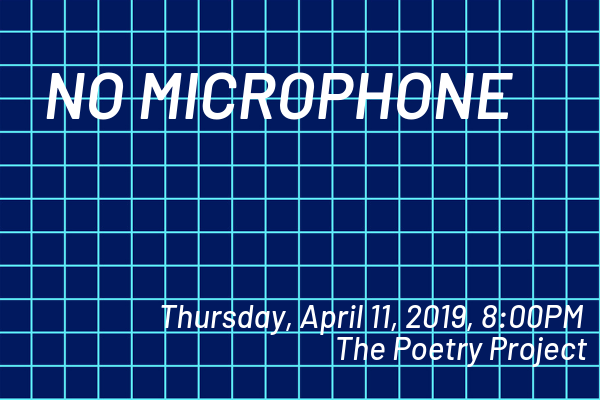 No Microphone is an evening of performance experiments, a place to try things out before exactly knowing what they are. The impetus for the event is to provide more access to the luxuries of time, space and human attention. A studio practice for the material of presence, No Microphone is a platform for attempting something that might not work: push out a little farther into the uncertain. No Microphone brings artists together across disciplines, scenes, and institutional affiliations to create a context for experimentation and delicate connection. In the ideal timeline, the event is held in a different Manhattan location every month, weaving like a parasite through the landscape of arts institutions and cliques, propagating a sense of possibility and alliance among artists in the city. Free and open to the public. Organized by Khaela Maricich. RSVP at the ticket link above.